Eddy Lu is the Co-Founder & CEO @ GOAT, the largest marketplace in the world for buying and selling authentic sneakers. 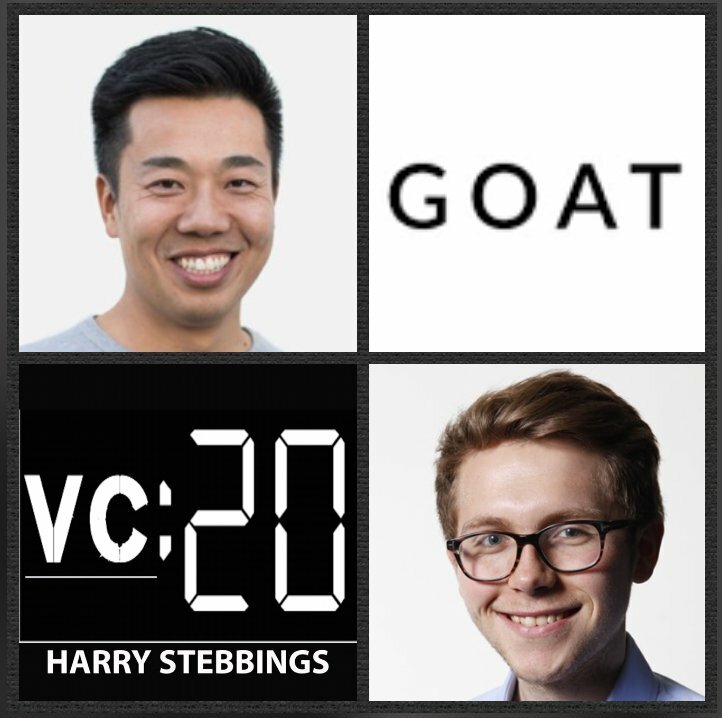 To date, GOAT have raised over $97m in VC funding from some of the best in the business including Accel, Index, Upfront and include angel investments from Elad Gil, Ashton Kutcher and Alexis Ohanian. Prior to GOAT, Eddy enjoyed numerous different roles including founding a chain of Japanese dessert stores building a slew of different 99c apps and started on Wall St with Lehmann Brothers and Deloitte. 1.) How Eddy made his way from Wall St to making 99c apps to creating a chain of Japanese desert stores to founding the world’s largest sneaker marketplace in GOAT? 2.) Pivoting from social dining to sneaker marketplace, how does Eddy determine between mission and passion for the vision vs when something is simply not working? What core metrics made Eddy realise this pivot was needed? How did Eddy communicate the pivot to the existing investor base? How did he get them on board for the next chapter? 3.) Over the years, GOAT has had many investors wanting to invest, how does Eddy approach investor selection? What advice does Eddy have on optimising for valuation and the terms that founders should really focus on? What have been the biggest lessons from having former Twitter COO, Adam Bain on the GOAT board? 4.) Does Eddy agree with Paul at Canvas that marketplace founders should give up if they do not have differentiated supply? What does Eddy believe is the core characteristic of the most successful marketplaces? To what extent does Eddy believe that early marketplaces must rely on existing distribution and offline activities to scale? 5.) Eddy took the decision to merge with Flight Club, what was behind the decision to open up the business to physical retail? Why does Eddy believe that physical retail does not affect the margin structure massively when compared to it’s online counterpart? How does Eddy assess the categories that make sense for physical retail between those that do not? As always you can follow Harry, The Twenty Minute VC and Eddy on Twitter here!